Signorina Misteriosa is a perfume by Salvatore Ferragamo for women and was released in 2016. The scent is sweet-floral. It is being marketed by Salvatore Ferragamo Group. The face of the advertising campaign is model Grace Hartzel. First of all I must say that I like this fragrance. But thinking of its name and looking at the black bottle I thought it was stronger, more "mysterious" and with a good longevity. The acchord is perfect , but the fragrance remains too light and evanescent. Anyway,on my skin this scent smells quite good altought it's evanescent and I like the total black bottle which keeps better the fragrance contained in it. 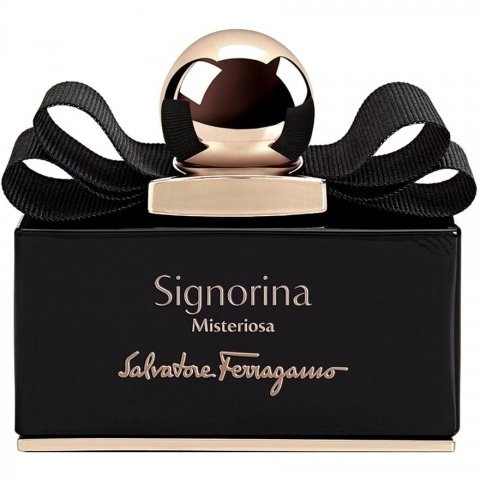 Write the first Review for Signorina Misteriosa!